Prince will release not one, but three albums in the new year. He's in final negotiations with "a major retailer" to distribute the music in physical form, and a highly interactive website will also provide an opportunity to buy. He's not working with a record label. "The gatekeepers have to change," he said several times throughout the evening. He's found his way back to the sound of "When Doves Cry." 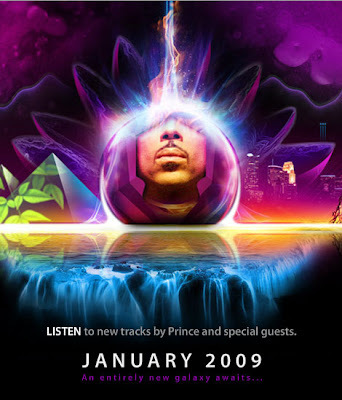 The first disc, tentatively titled "MPLSOUND," is an electro-flavored solo effort recorded at Paisley Park Studios. Prince experimented with Pro Tools and "new ways of recording" on these trippy, experimental pop songs. One features a Q-Tip rap; another calls a "Funky Congregation" to worship and may become a live set piece. He's ready to revive the Quiet Storm. "We got sick of waiting for Sade to make a new album," he said, introducing Valente's new album, "Elixir." The tracks are chill, with Valente's buttery voice melding with beats by Morris Hayes and Prince's guitar lines. Some are explicitly sexual. "This music is nasty, but it's not dirty," Prince said, explaining how sensual music fits in with his much-discussed faith -- he's a Jehovah's Witness. "There's no profanity. It isn't promoting promiscuity. She's singing about her lover, who could be her partner for life."